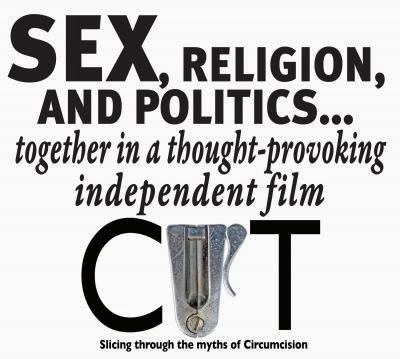 “Cut,” a documentary film that challenges Jewish circumcision, is an official selection at the 2014 Pasadena International Film Festival. The film will be shown on February 13 at 3:30p.m. at the Laemmle Playhouse 7 in Pasadena, CA. A special thank you goes out to Danielle Gladding, who made this possible. For those who would like to own a copy of this incredible film, now is a great time. Previously, the film was only available as a DVD. Eli Ungar-Sargon, the film’s director, has recently teamed up with an online distributor to allow for digital purchase. The film can now be downloaded for $9.99. “We’re just very excited to be able to make ‘Cut’ available to the world in a convenient way and at a reasonable price,” Ungar-Sargon says. Ronald Goldman, Ph.D., Executive Director of the Circumcision Resource Center, a nonprofit educational organization in Boston, has been invited by the Council of Europe to participate in an interdisciplinary dialogue about circumcision at a meeting in France on January 28. There is a growing European debate about circumcision. In October the Council of Europe, an organization of 47 member States, overwhelmingly passed a non-binding resolution that called circumcision, among other procedures, a violation of the physical integrity of children according to established human rights standards. Circumcision is uncommon in Europe except among Jews and Muslims.